We recently blogged about the alternative organisation page which displays a list of up to 10 curated top tasks in the top centre of the page, labelled ‘Services and guidance’. This blog post explains how to request the new page layout on your organisation page. The alternative organisation page layout is intended for organisations that have very little (if any) news, publishing or policy activity, but a high volume of users with very specific, service-oriented needs. It’s had a successful impact on Driver and Vehicle Licensing Agency’s (DVLA) organisation page. UK Visas and Immigration, Maritime and Coastguard Agency and Insolvency Service have recently started using it too. GDS content designers can help you with choosing the links and the wording based on user’s needs. 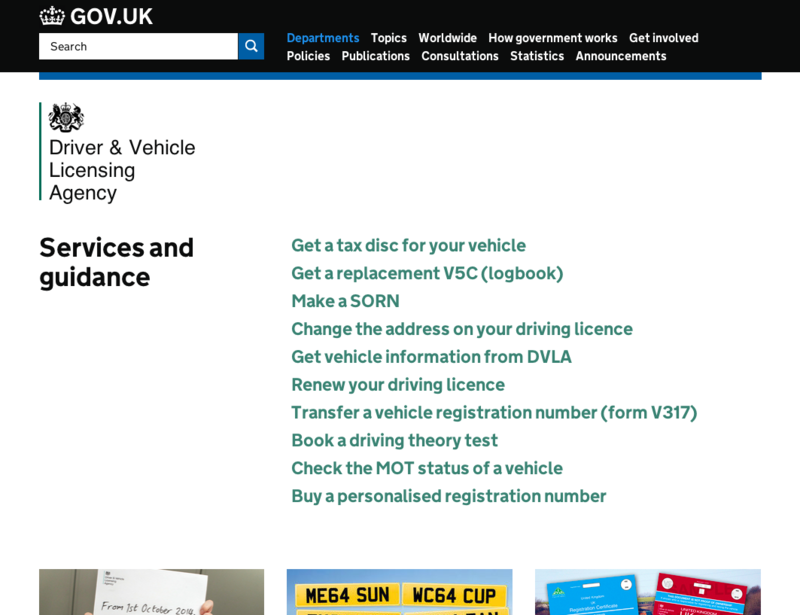 GDS will confirm receipt of the request and chosen links, and then apply the new layout to your organisation page. The links shouldn't be a static list. You should iterate them regularly by checking analytics and feedback, and keeping up with seasonal trends. We’d suggest looking at performance every fortnight, and then iterate. Please could you also raise a Zendesk ticket to request any changes to the links.